This is always a fun category to do for the SuperPhillip Central Best Of yearly awards. So many hyped games can end up being disappointing, but what about those that folks didn't give much attention to that turned out awesome? Let's continue being positive here at the SuperPhillip Central Best of 2017 Awards with the nominees for the Biggest Surprises of the year. These are games that astonished me with their quality, almost coming out of nowhere to excite and fascinate. Some were more interesting than I originally gave them credit for, but after playing these games, my attitude shifting drastically. As always with the awards on SuperPhillip Central, I unfortunately can't play every game released in a given year, so don't be too hard on the award show for missing any of your picks. I might have simply not played them. Now, onto the Top Five Biggest Surprises of 2017! We begin with a sequel to a successful launch game for the PlayStation 4. The original Knack may have sold well, but its critical reception from both fans and reviewers alike wasn't as notable as the game's sales. 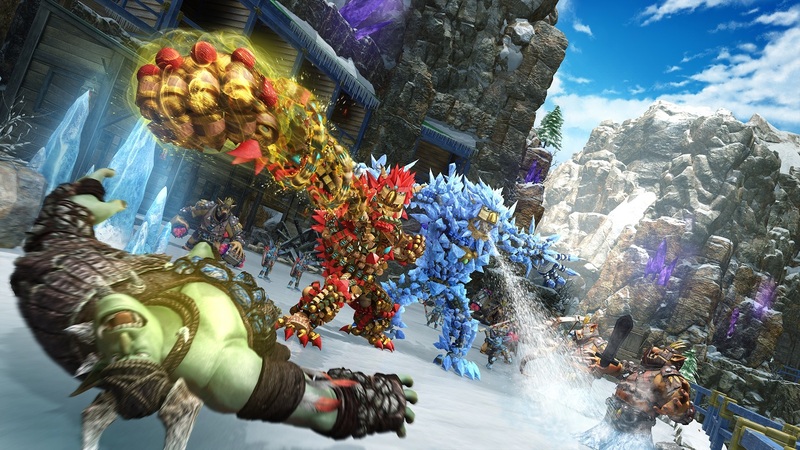 That notwithstanding, Knack II released and had the opposite outcome: the game was much improved and of a really good quality while the sales were less than spectacular, perhaps because the original Knack burned so many players by how repetitive it was. 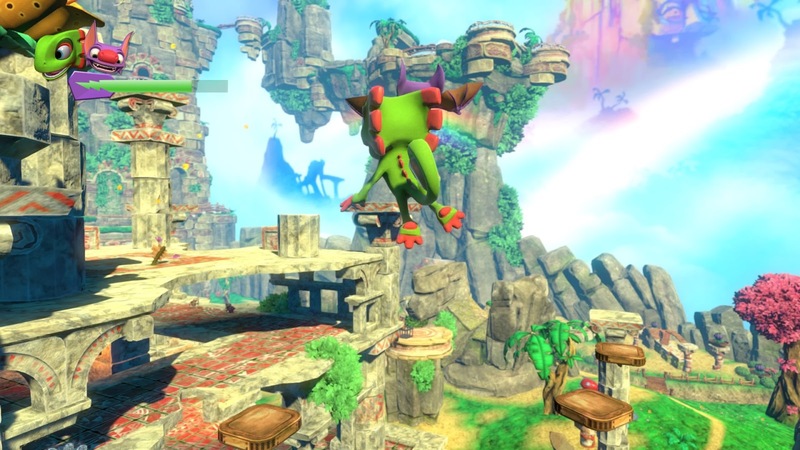 Adding more platforming, more worthwhile and varied combat, and lots more exploration allowing players to constantly go off the beaten path, Knack II was a delight to play and really did surprise those who tried out it (including yours truly) who didn't see it being a noteworthy game in the PS4's robust roster of software. This next game, Ever Oasis, was the winner of this year's Most Overlooked / Underrated Game here at the SuperPhillip Central Best of 2017 Awards. Developed in tandem by the mind behind the Secret of Mana as well Grezzo, the team who worked on both Legend of Zelda 3DS remakes, Ever Oasis was an action-RPG set in an expansive desert filled with a dark blight that has sucked every last bit of flora and water from oases around the land. Only one oasis was left, and that was of course yours. 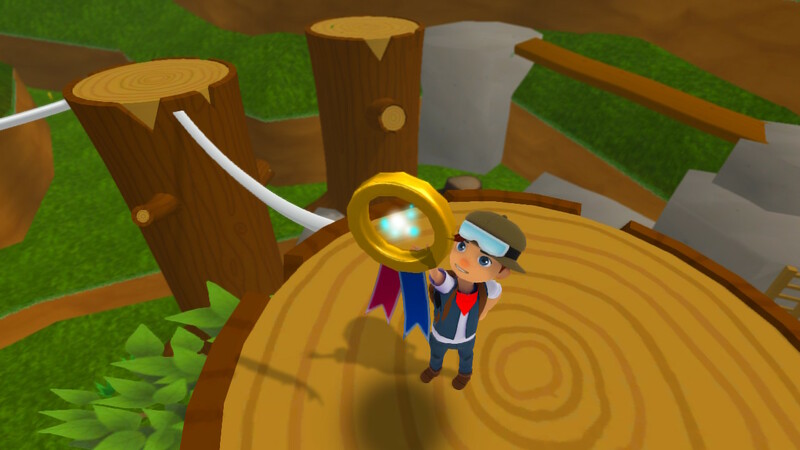 Through completing missions, conquering dungeons, solving puzzles, and battling enemies, your oasis would grow more and more prosperous, expanding and receiving newcomers to set up helpful shops. Materials from downed enemies could be used to upgrade the shops in order to make more money to craft new goods. Throughout my 30 hour playtime with the game, Ever Oasis brought me a feverish desire to keep playing, even when my 3DS's battery was running low. That's the mark of a compelling game. One that like an oasis in the desert was truly refreshing. Like Splatoon for the Wii U, Nintendo introduced a heavy hitter as a new IP for its Switch console. 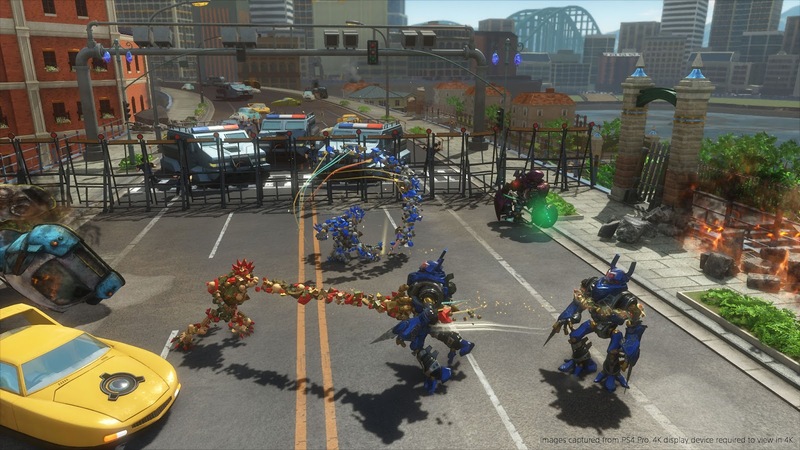 This time around it was none other than the atypical fighting game ARMS. Players fought within arenas of varying sizes with different stage gimmicks inside to spice things up. Rather than attack with all extremities, ARMS, as you might expect from the name, was centered on its characters' upper limbs to unleash attacks of all directions, whether straight, curved, sliced, or what have you. While the goal in ARMS was similar to traditional fighting games, the gameplay was exponentially different when it came to strategy. Do you make the first advance with a punch? Which arm do you use? Do you dodge to left or evade to the right? Do you jump over a punch or send one of your own, careening around it to take your opponent out? Fights demanded the player to come up with these answers within milliseconds or else they'd be at the end of a vicious combo, or worse, be on the receiving end of a health bar-draining special attack. While ARMS didn't have the same level of popularity as Splatoon, ARMS did quite well for its freshman effort. Well enough to receive new, free updates as well as easily passing a million sales worldwide. Not bad for a first try! 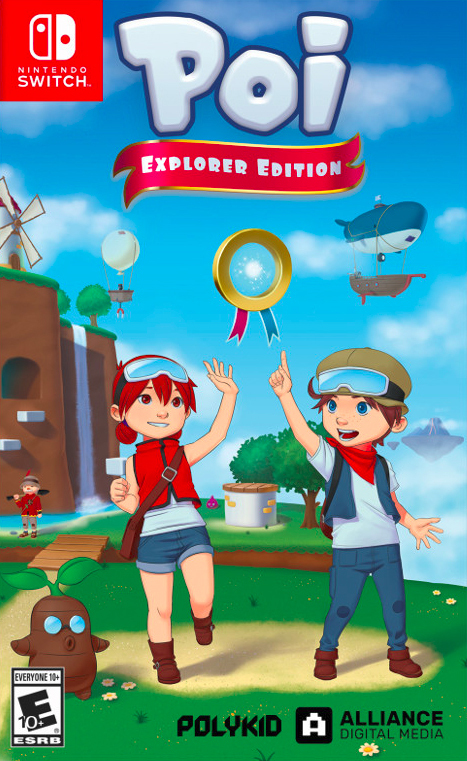 Some games surprise and astonish from their quality. Some games do it because you didn't expect them to appear at all. 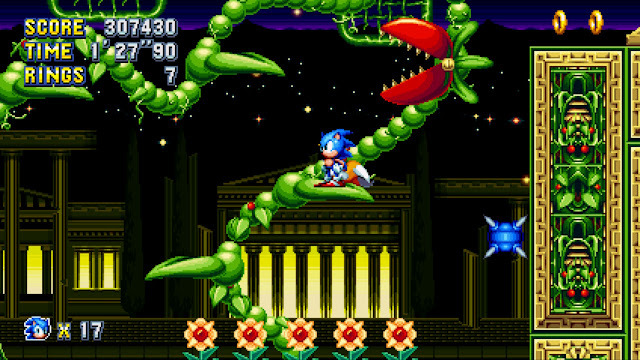 Sonic Mania was a combination of both of these reasons with a classic-style Sonic game that was as good (and in many cases, better) as the games loved during the Genesis / Mega Drive era and was revealed from out of nowhere. 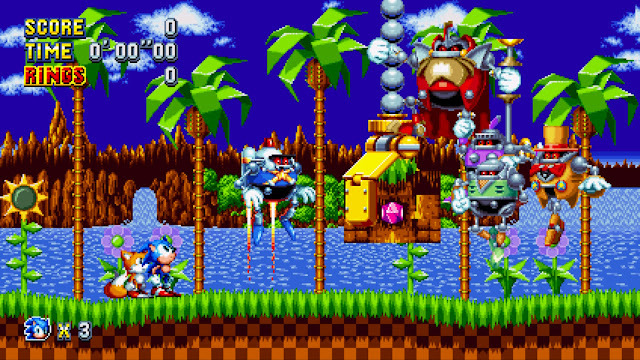 Added to those facts was Christian Whitehead and company, makers of past Sonic fan-games and later assisted with the HD remasters of Sonic the Hedgehog 1, 2, and CD, who also had a full hand in creating a new 2D Sonic game which culminated exquisitely in Sonic Mania. You had a team of die-hard classic Sonic fans who knew what was good about the old games, something that even Sonic Team now clearly doesn't get, and with Whitehead and his team behind the game, Sonic Mania arrived with much hype, sales, and critical acclaim. A new 2D Sonic game in 2017 that sometimes surpasses the likes of the Genesis era? That is indeed a surprising opinion of mine and is all the reason why Sonic Mania is #2 on this countdown of this past year's biggest surprises. It was a crow buffet for all those folks who downplayed or worse, made fun of, the idea of Nintendo providing the Mario license to Ubisoft to make its own merging of the world of the Mushroom Kingdom with the insane antics of Rayman's Rabbids series with Mario + Rabbids: Kingdom Battle. Some asked, "How would that even work?" Others didn't even believe it or could conceive how an idea was anything but ridiculous. When assets were leaked, the gaming community had a field day, hardly able to suppress their ire and "LMAOs" towards what they saw. 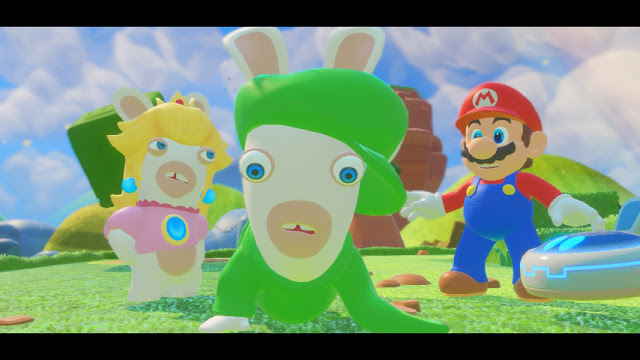 But when E3 last year rolled around and Mario + Rabbids was properly unveiled, the entire gaming world (or at least those who were downplaying the game, which was many of us) was amazed and delighted by what they saw. Taking the gameplay of XCOM and throwing in Mario and Rabbids characters with high-powered weapons made for a game that was strategic, smart, and hilarious. The moment at E3 2017 where the creative director of Kingdom Battle, Davide Soliani broke down into tears at the warm regards, cheers, and applause for the game that he and his team worked so hard on, which was scrutinized for months before being given a fair chance... Well, it's an E3 moment I'll always treasure, much like the final product and biggest surprise of 2017, Mario + Rabbids: Kingdom Battle. There are just too many excellent digital games from last year to put on a top five list for my favorites at the SuperPhillip Central Best of 2017 Awards. That's a good problem to have in general, but when you have to just pick five out of dozens of memorable titles, you're definitely going to leave way too many out that deserve some recognition. But, name five, I must! These are SuperPhillip Central's choices for the Top Five Digital Downloads. A launch title for the Nintendo Switch, Snipperclips: Cut it out, together! 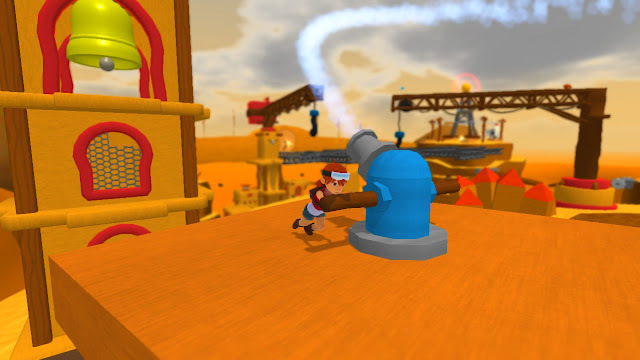 is a mostly cooperative effort between up to four players. The goal is to use your character's body to cross over other players' bodies and snip a section of them off to perform an assortment of tasks. Whether it's teaming up to pack yourselves into a shape that doesn't flow over the dotted line, cutting a chunk off your partner to turn them into a hook to grab onto a high up lever, or turn each other into baskets to carefully bring a ball from one side of the screen to the other to clear the level, Snipperclips has a lot of chaotic multiplayer fun on offer. There are also single player challenges as well, but the overall game is best played in a group or party setting. 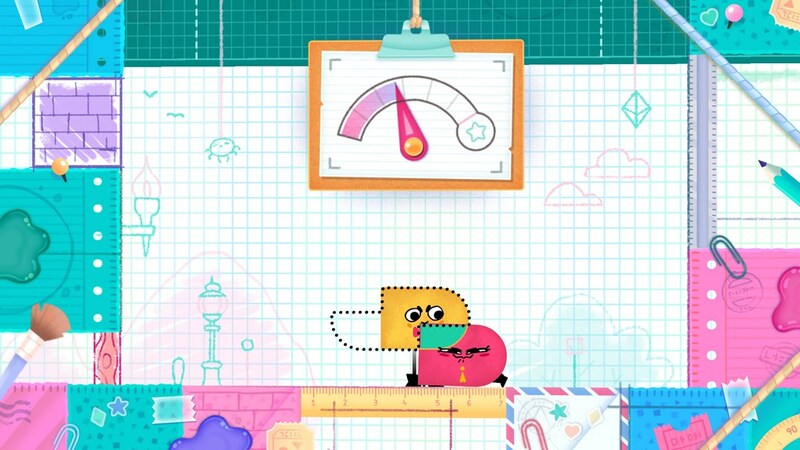 From embarrassment for messing up a level at the last moment to yelling at a bud for doing the same, Snipperclips: Cut it out, together! was a tremendous start to the Nintendo Switch's online marketplace of games. 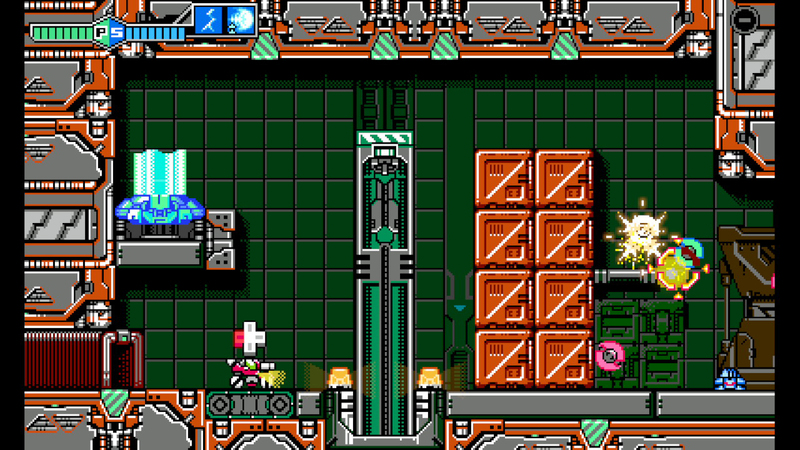 Taking the NES cult classic Blaster Master and reshaping and remodeling it for new, modern audiences, developer Inti Creates (Mega Man Zero, Mega Man ZX, Azure Striker Gunvolt) put forward a terrific and unique 2D platformer. Well, that's actually just part of the game. Your character gets in and out of its robotic tank and enters in to compounds where overhead action without the aid of his tank. Angry enemies, ruthless bosses, and climactic encounters punctuate the most high octane moments of Blaster Master Zero, while the pace slows down for exploration -- finding secret weapons and upgrades in a somewhat Metroid-style way. Both the 2D action-platforming and the over-the-head running and gunning make Blaster Master Zero on the whole a terrific indie charmer. Inti Creates didn't just have one of my favorite digital delights from 2017 -- they had two! Despite the Mighty No. 9 franchise being a bit toxic after a turbulent (to say the least) Kickstarter campaign and subsequent handing out rewards (then there's the quality of the actual game), Inti Creates brought a much needed boost to Mighty No. 9's Beck. This time, he was starring with Gunvolt of the Azure Striker Gunvolt series in a followup to Mighty Gunvolt (a game that was available on the Nintendo 3DS and Steam). This sequel was Mighty Gunvolt Burst for the Nintendo Switch and 3DS. Similar to a Mega Man game and having the same cast of bosses as Mighty No. 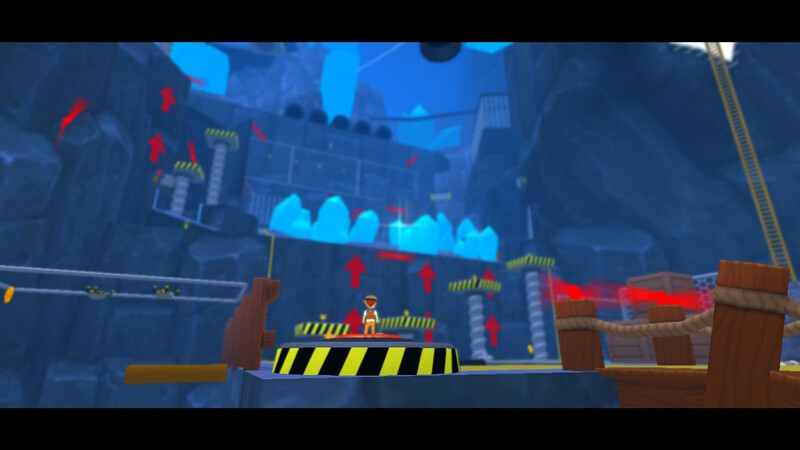 9, the dev team went further, designing well crafted levels that encouraged multiple playthroughs to uncover secrets and get higher scores. 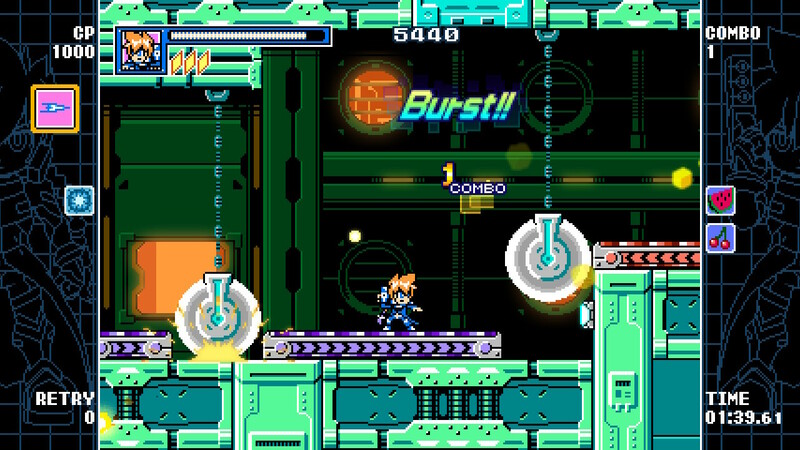 An upgrade system meant you could customize Beck or Gunvolt by equipping found chips to do a number of enhancements. From air dashes, to adding elemental capabilities to weapons, to making bullets fire in different arcs and directions, the amount of customization was incredible. While we wait for Mega Man 11 later this year, why not check out Mighty Gunvolt Burst if you haven't already? We saw this game already earlier in the evening, and it's for good reason. SteamWorld Dig 2 is just a wonderful game made by an exceptionally talented team in Image & Form. Further expanding on the now-basic gameplay of the original SteamWorld Dig, the sequel brought forth expertly created level design as opposed to the randomly generated worlds seen in Image & Form's first chapter of the SteamWorld saga. This meant a more cleverly crafted world could be built, offering man-made challenges instead of leaving things up to the whims of the AI's design. 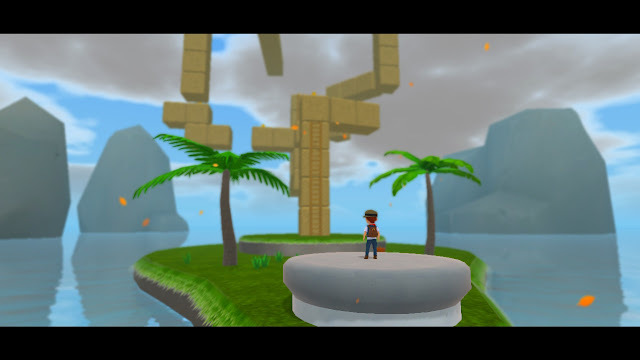 It made finding treasure and completing the many challenge rooms within the game particularly rewarding and not something that felt like simple luck. 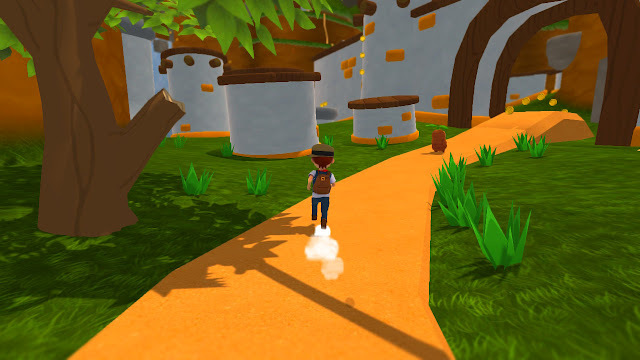 The options in the player character's mobility further exemplified the lessons learned by the dev team, giving players more ways to get from point A to point B, and have lots of fun doing them. SteamWorld Dig 2 is an addicting, quality, treasure of a game that thankfully you don't have to discover miles under ground to play and enjoy. Speaking of seeing games earlier this evening, it's once again time for SuperPhillip Central's pick for the top digital download of 2017, Sonic Mania! The days of me sinking a lot of time into a game, beating it multiple times, and after thinking I was exhausted with it, going back to play it some more seemed long gone. After all, usually when I beat a game nowadays I have to move on to my next for review purposes to keep a steady stream of relevant game coverage going. With Sonic Mania, I must have gone through the game with all seven Chaos Emeralds at least three times. The zones are colorful and full of interesting gimmicks and obstacles, the controls are as solid and smooth as the Genesis classics, and the overall presentation nails the '90s aesthetic from over two decades ago. 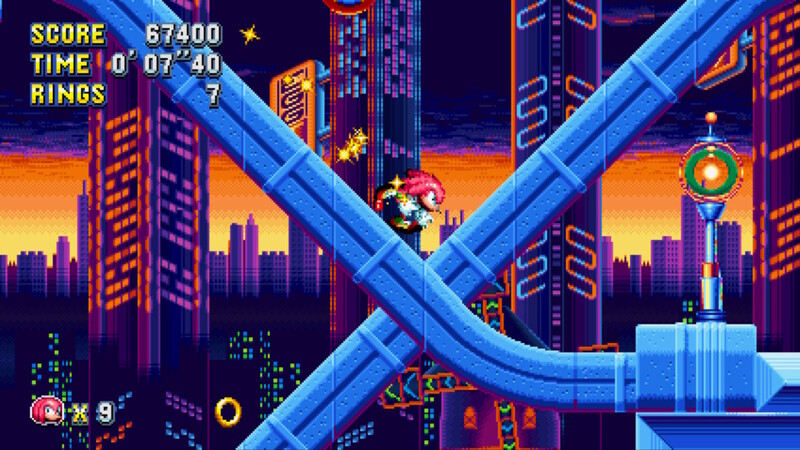 As cynical and sarcastic as I often can get, games like Sonic Mania bring back the kid in me, and they remind me why I love gaming so much. Let's kick off the penultimate day of awards in the SuperPhillip Central Best of 2017 Awards with a wholly new category! Yes, this category has never before been seen on the SuperPhillip Central "Best of" Awards in the ten-year history of this annual event. It's a look at the Top Five Remakes & Remasters of 2017. You can include ports in here, too! These updated games on this list had enough additions to be worthwhile, were remastered to utter beauty, ported to the impossible, or a combination of other factors. From racing to ripping and tearing, these best video games remakes and remasters (and ports) were the best of the best for 2017! This past summer saw the return of the WipEout series, a weaponized rival to franchises like F-Zero and X-Treme G. It seemed with the shuttering of Sony's Liverpool studio, the creators of the WipEout series, that PlayStation's futuristic racing franchise would not be seen again for quite a while. Though it's not a brand-new entry in the WipEout series, it's the next best thing, a collection of three of the most modern games on the series: WipEout HD, WipEout Fury, and WipEout 2048. Able to played in glorious 4K via PS4 Pro or similarly impressive on just a vanilla PS4, WipEout Omega Collection is a stunning racer that makes the WipEout series look better than ever before. With 26 total tracks, 46 ships, and nine unique modes, this WipEout collection is a futuristic racing fans' dream come true. 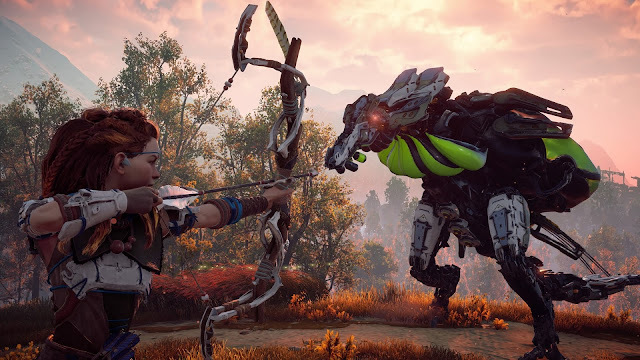 If in 2016 someone said to you, "You know this super amazing looking game on PS4, Xbox One, and PC? Well, it's going to come to a Nintendo platform in the future," would you have believed them? Furthermore, would you even believe Bethesda would support a Nintendo system after all of this time? DOOM on the Nintendo Switch did, in fact, happen, and somehow the port made by Panic Button brought DOOM's 2016 entry to the Switch in a big and impressive way. While obviously certain graphical aspects had to be toned down from a game made for a high-end console and PC to fit onto less powerful hardware, Panic Button did a highly serviceable and way impressive job (less so in undocked mode, but still amazing that it somehow runs well even in that mode). 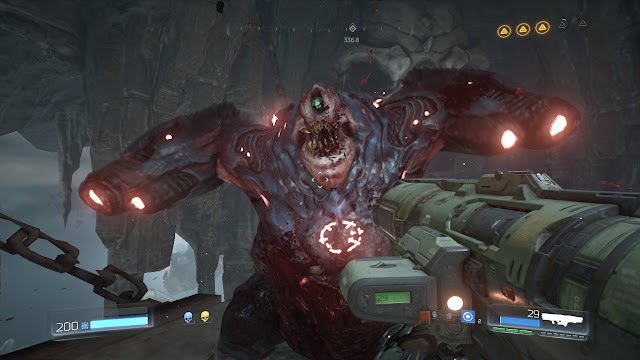 Containing the whole single-player campaign, the full multiplayer with its 6.66 update including all of the 16 maps and reconfigured rewards, and stellar online, DOOM on Switch seemed like an impossibility, but Bethesda and Panic Button proved to people that things aren't always what they seem. While there has already been a remake of Metroid II: Return of Samus created by a fan, there has yet to be an official one by Nintendo. That was until last fall where Metroid: Samus Returns for the Nintendo 3DS released and Samus went on an updated mission with some story and gameplay-related twists and turns. For one, Samus could now aim more precisely and by varying degrees instead of strictly left, right, down, and some diagonals. A new counterattack meant enemies who got too close for comfort for Samus could be stunned or destroyed in an instant. 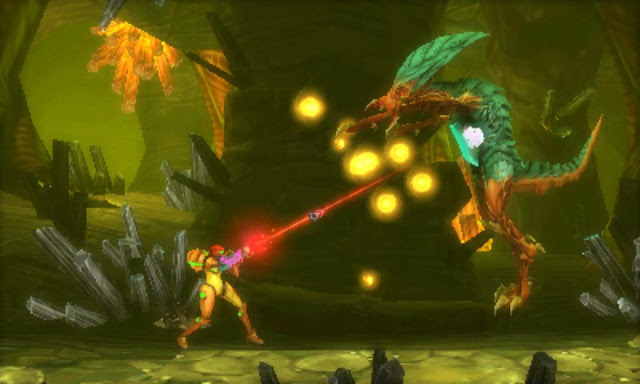 The environments boasted lots of variety, especially in the second half of the game, and story-wise, the inclusion of new bosses and story beats added more lore to the Metroid series in general. Both Nintendo and MercurySteam crafted a long awaited and satisfying return of the Metroid series, and it makes me quite hopeful for the future of the franchise, something I couldn't quite say after Metroid Prime: Federation Force, despite enjoying that game for what it was. Samus may have had a long awaited return, but the wait was nothing compared to PlayStation fans and one of the characters synonymous with the brand, Crash Bandicoot. 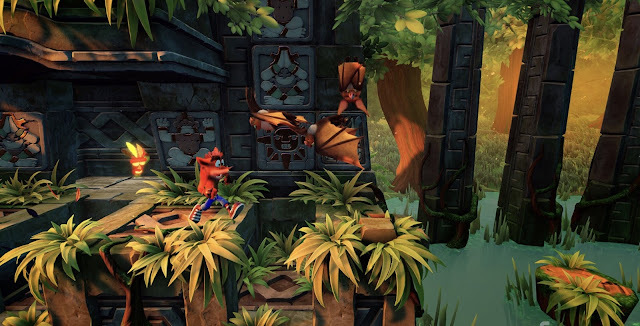 Activision and Vicarious Visions teamed up to create what fans had been clamoring for ages for, a remake of the original Crash Bandicoot trilogy, a trio of games released way back on the original PlayStation. 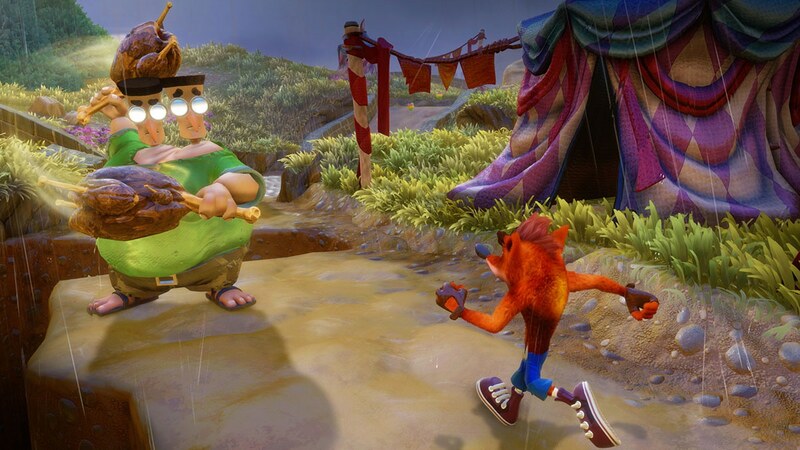 With the PS4 remakes all in one neat and tidy packed, Crash Bandicoot: N. Sane Trilogy brought several added conveniences to the old games while making them look absolutely jaw-dropping in their gorgeous brilliance. The new animations, the detailed worlds, the advanced lighting, and the tremendous effects on display meant that Crash had finally entered onto the PlayStation 4 in top form. And the wait was worth it, as all three games were brought to their best (yes, even the original Crash Bandicoot, which I still think is not particularly a great game). Fans were thirsty for more Crash Bandicoot, and sales charts in the West have shown this on a routine basis. At first glance, Mario Kart 8 on the Nintendo Switch didn't seem like such a big deal, but looks can be deceiving. Mario Kart 8 Deluxe not only jazzed up its presentation, but it had all the purchased DLC from the Wii U game already available in the Switch port, new characters like King Boo and Bowser Jr. to race as, a completely overhauled and better-than-ever-before Battle Mode with eight unique arenas, and multiple modes to keep the races running wild all throughout the year. Mario Kart 8 Deluxe remains a mainstay at parties with friends and a game in the rotation for when I play the Switch with my older brother. This is after already playing the Wii U original for 80+ hours! 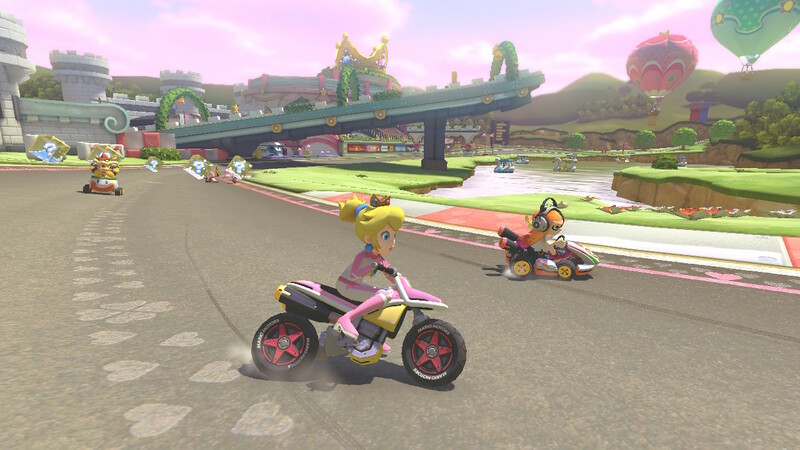 With being placed on a new, much more popular piece of hardware, Mario Kart 8 Deluxe is on its way to easily outselling its Wii U predecessor, and whether it's at home in docked form, on the go with handheld mode, or gathered around a patio table in kickstand form, Mario Kart 8 Deluxe can be played and ultimately enjoyed whenever and wherever with whoever you want, making it SuperPhillip Central's pick for the best port of 2017! Routinely on SuperPhillip Central I write about the games that didn't quite get as much attention as I personally thought they should have, whether through sales or through word of mouth. Obviously your Call of Duty games, Star Wars Battlefronts, and Assassin's Creeds get a lot of attention, but so many other games fall through the cracks. These five games of 2017 are the ones that I played that I believe deserved more mentions from folks in the industry and game players in general. 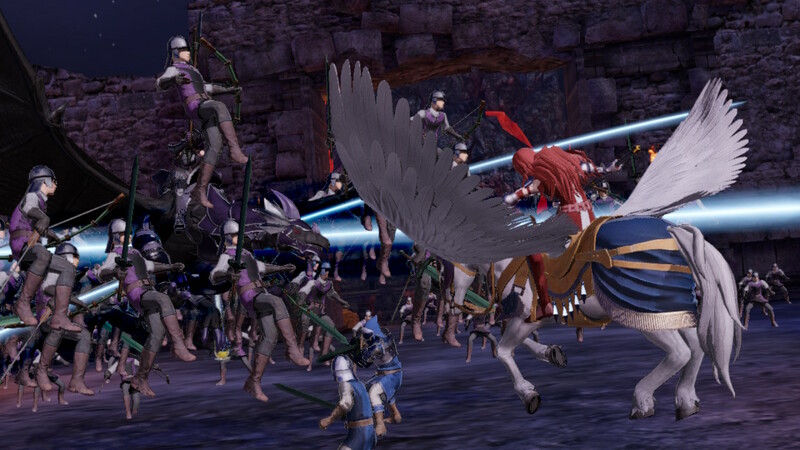 Musou games don't really review well, but the Fire Emblem franchise generally does. Since Awakening on the Nintendo 3DS, the Fire Emblem franchise has also seen higher sales than it originally did. Thank goodness for waifus, I guess. Thus, the combination of the Musou genre and the Fire Emblem franchise seemed like a match made in heaven. However, many decisions on both the developer side and the publisher side did Fire Emblem Warriors more harm than good. For one, the selection of characters for the roster was picked from a limited selection from Fire Emblem's illustrious history. Secondly, Nintendo unfortunately decided to release Warriors but a week before Super Mario Odyssey. Guess which game won out in sales. It's a shame, as while Fire Emblem Warriors does have its issues, it's still a highly competent and rewarding Musou game. Instructing units before and during battle to specific locations to strategically take care of objectives, being concerned with the paper, rock, scissors-like weapon triad, and more made for a Fire Emblem game worthy of the franchise name. The Nintendo 3DS's 2017 was a good one, despite the system starting to fade out of the spotlight thanks to the release of the hotly anticipated Nintendo Switch. Many 3DS games were cast to the wayside in interest compared to how they would have been welcomed when the system was in its golden years. This past fall's Monster Hunter Stories was one of these games, and not just because of the 3DS fading out, but also due to a much more important entry in the series, Monster Hunter World, getting all of the attention. That said, Monster Hunter Stories itself carried all of the greatness and features of the Monster Hunter series and reestablished them in turn-based RPG form. You still explored vast lands searching for monsters to do battle with, earning their hides and pelts from defeating them, but this time you could have them on your team through entering monster nests and stealing and hatching eggs. This Pokemon-styled collection aspect meant that not only was the forging of new weapons and armor a fun grind, but so was adding as many monster species to your arsenal as well. The first entries of some games have then soured players on trying out future titles due to the first entry being less than fantastic to play. That was the case with the Knack, a game that saw much success in sales due to arriving as a launch title for the PlayStation 4, even being bundled with the system in Japan. However, the game itself was pretty repetitive and was more of a technological showcase for the system than a fun game. Thankfully, Knack and the dev team were given a second chance with a sequel, and while many turned up their noses at it or hyped the game up ironically through meme usage, Knack II ended up being a really good game overall. A nice mix of combat, platforming, and exploration made for a sequel that improved on the original Knack in every conceivable way. Here's hoping that somehow Sony bankrolls a third chapter in the Knack series so we can get a full trilogy, and maybe some more memes, too. This next game released to little fanfare and even smaller sales. Much like its PlayStation Vita predecessor, Gravity Rush 2 failed to light the sales charts on fire and has become an overlooked, under-appreciated, but still high quality game in the PlayStation library. 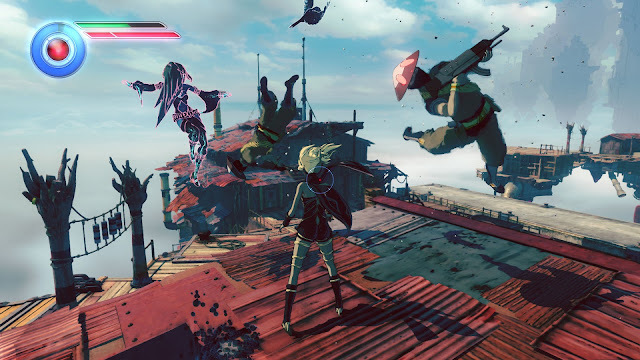 The gravity-bending mechanic from the original Gravity Rush returned, and it never felt better, being much more improved and comfortable to use. 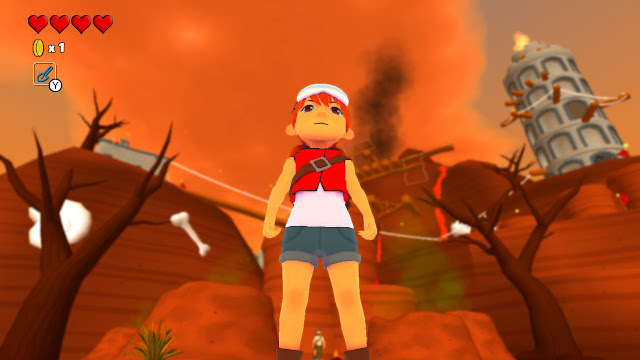 Main character Kat was as ever adorable and precocious with her unending optimism and positiveness, and of course, all of her gravity abilities allowing her swift travel across the game world and new combat techniques in battle. Gravity Rush 2's online services are already on the chopping block, not even a year after release, and while no trophies are affected, the superb online experience will no longer be available. Still, Gravity Rush 2 is a certifiably noteworthy game within the PS4's ever-extending library. From the mind of the man behind Secret of Mana and the developer team behind the Nintendo 3DS remakes of The Legend of Zelda: Ocarina of Time 3D and Majora's Mask 3D, comes this wholly original game made exclusively for the Nintendo 3DS. This action-RPG had plenty of personality to it, dungeons to explore, quests to complete, baddies and bosses to bash, loot to hoard, and your grand home, the oasis, to build up and replenish. 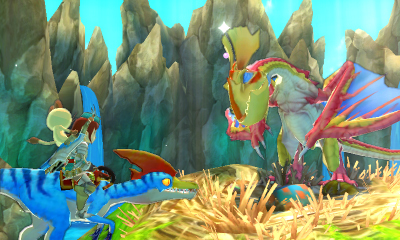 Ever Oasis was part dungeon-crawler, part exploration, part action-RPG, and part simulation, and it all added up to an amazing experience. Like many Nintendo 3DS games released last year, the hardware Ever Oasis was released upon was deemed old hat by the March arrival of the Nintendo Switch. That said, if breaking out your old Nintendo 3DS doesn't churn your stomach after experience an HD portable experience with the Switch, then Ever Oasis is definitely a great pickup and game to engross yourself in. Not only has PlayStation revealed a brand-new story trailer for God of War, but so, too, has it finally revealed a release date, April 20, 2018! 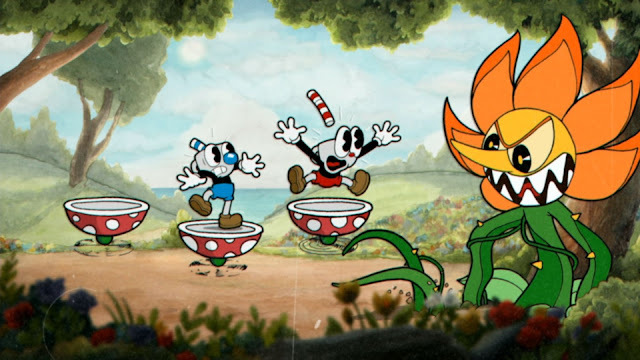 Make your pot and weed jokes now and get them over with, so we can start building up hype for the God of War's newest entry! Here it is, later than the site usually does its yearly "Best of" awards, but here all the same -- it's the SuperPhillip Central Best of 2017 Awards! On its ninth year now, the "Best of" awards spotlight the greatest and brightest in gaming through a wide selection of categories in top five and top ten form. Our first category and list to kick the ceremony festivities off is the Top Five Best Original Soundtracks of 2017. Music is highly subjective in what's the best and what isn't, but I think we can all prefer the soundtrack selections on this list over a rendition of the Super Mario Bros. theme as played by fingernails scratching on a chalkboard or through hippo farts. Actually, the second one is a little promising... With that bit of class for a classy awards show, let's get to the top five soundtracks that I particularly enjoyed this past year. Changing the tradition a little, I've posted my five samples for each game soundtrack in embedded YouTube playlist form this time around. Let's start the SuperPhillip Central Best of 2017 Awards with some style, Gravity Rush 2! The game, featuring a gravity-shifting protagonist named Kat, is a sequel to the PlayStation Vita original. That original game would get ported to the PS4, but now you're lucky to find it used for a sane cost. Regardless, one of the greater aspects of Gravity Rush 2 is its tremendous soundtrack, combining an orchestra with jazzy rhythm and melodies to create a sophisticated, memorable sound. If a soundtrack such as Gravity Rush 2 with its amazing score is but number five on this list, we're in for some great game music coming up! And that's exactly what we're getting with Ys VIII: Lacrimosa of Dana. The Ys series routinely houses some of the finest music to come out of the land of the rising sun, despite being a niche series worldwide. 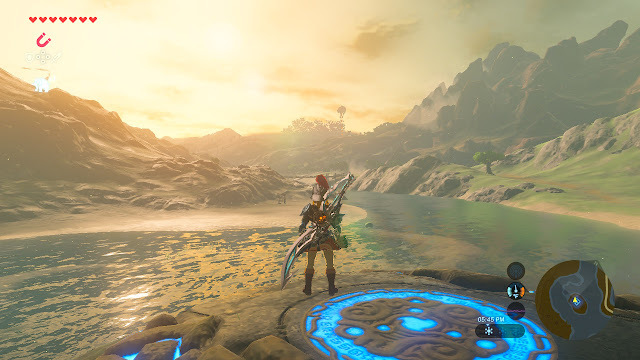 A Nintendo Switch version is releasing this summer in North America while the PS4 and Vita versions await a patch to fix the wonky localization. All that aside, the tradition of high quality Ys soundtracks continues with Ys VIII: Lacrimosa of Dana, coming with a deluge of harmonious, exquisite, and powerful tracks and themes for listeners in and out of the game to enjoy. It's always a pleasure to hear a new Ys soundtrack, and indeed that tradition also continued with Lacrimosa of Dana. Tee Lopes is the composer behind the soundtrack of a game that delighted both modern and classic fans of Sonic the Hedgehog. Sonic Mania sports both brand-new compositions that fit right in quite comfortably with all of the improved remixes from past classic Sonic games. You get some completely fresh themes heard in new zones like Studiopolis and Mirage Saloon that mesh nicely to the familiar remixed themes like Green Hill, Chemical Plant, Hydrocity, Lava Reef, and Metallic Madness. Sonic Mania is the only digital-only game on this list of best original soundtracks, and that's because the quality is of insane proportions. A love letter to Sonic the Hedgehog game fans is also a love letter to those who enjoyed the music of the series when they were young. We go from a retro-inspired wonder to a completely epic game with a score that shakes listeners to their very core. It's Xenoblade Chronicles 2, and sitting through the sometimes hackneyed acting and scenarios in the game is made worth it by the exceptional music (oh, and I guess that small thing called "gameplay.") Whether you're embroiled in battle with one of the many rocking tunes that plays while fending off creatures both big and small (and every other size in between) or venturing through open plains, vistas, and city streets, Xenoblade Chronicles 2 offers a treat for the ears. Better yet, the original composers from the first Xenoblade Chronicles are back to weave their skillful tunes, and they do so better than ever. Xenoblade Chronicles 2 most definitely does not disappoint in the music department. 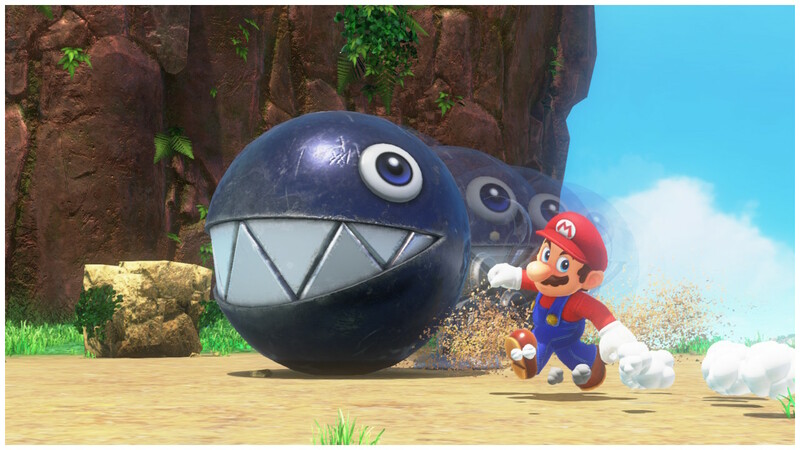 Sometimes it's just cheery music with a drop of insanely catchy melodies that wins me over, and that's exactly why Super Mario Odyssey is my number one pick for the best original soundtrack. While Super Mario Galaxy and Galaxy 2 might have more themes that I adore (they are, after all, my personal favorite game soundtracks), Odyssey is by no means a slouch, as it delivers tune after tune I cherish. 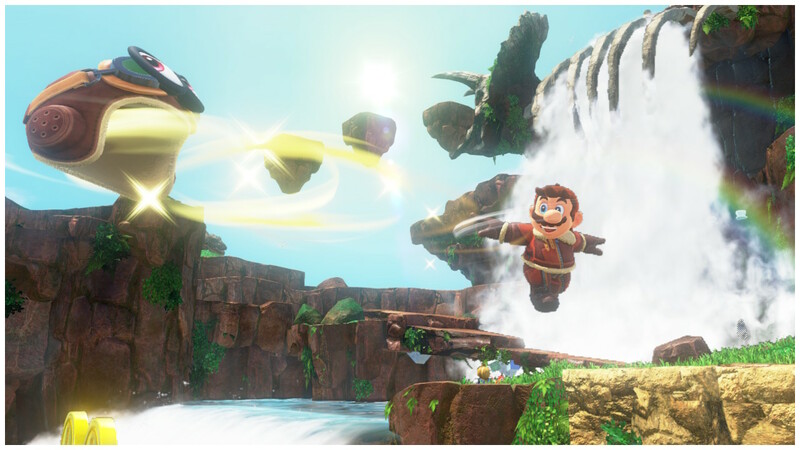 From its main theme in Fossil Falls to the awesome scene where Jump Up, Super Star plays, the music is incredibly special and fits every kingdom, gameplay scenario, and area it plays in. The quality of music this year has been phenomenal, and the 3D Mario series continues to routinely have some of the best music in video game history. This has not changed at all with Super Mario Odyssey, winner of SuperPhillip Central's Best Original Soundtrack award. The greatly and hotly anticipated Dragon Ball FighterZ for PlayStation 4, Xbox One, and PC is finally due out this Friday, and in celebration of the game's launch, Namco Bandai Entertainment presents this stunning trailer for the game's official arrival in stores. The critics are unanimous -- Dragon Ball FighterZ is an extraordinary Dragon Ball fighting game, and one of the series' best! Will you be picking up this action-packed fighter this Friday? Tonight will kick off SuperPhillip Central's Best of 2017 Awards, celebrating all things stellar in gaming this past year. With top five lists for the best games, best visuals, best soundtracks, and so forth, the Best of 2017 Awards will be quite the festivities when they begin tonight and last all week! In the meantime, before we get to that, we turn to SuperPhillip Central's Favorite VGMs to kick off your work week in style! 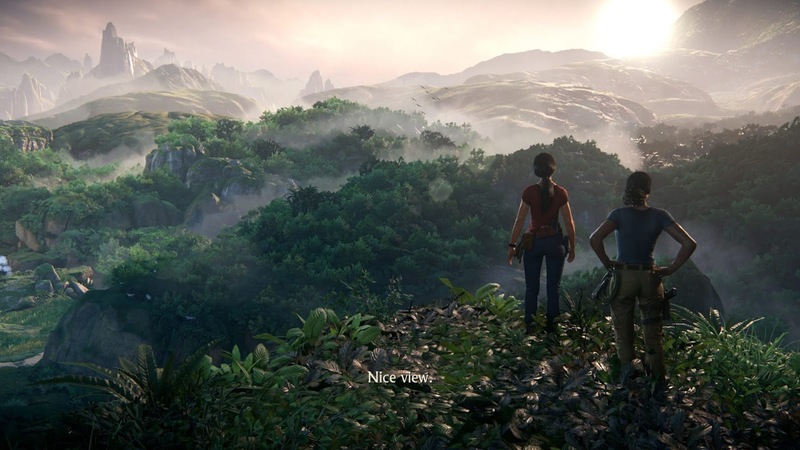 This week sees this edition of the Favorite VGMs starting things out at the end of the line with Uncharted: The Lost Legacy. Then, we give our upper body limbs a workout with the Nintendo Switch's ARMS. Following that is a duo of recent releases, Ys VIII: Lacrimosa of Dana and Miitopia. Finally, things get viewtiful with Capcom and Clover Studios' Viewtiful Joe. Enjoy these VGMs and more, and by "more", I mean the VGM Database, where all past featured VGM on this weekly segment are listed! Now, let's get on to the music! Speaking of SuperPhillip Central's Best of 2017 Awards, we might see some of the games on this edition make an appearance! I won't playfully hop around this with any coyness -- you can certainly bet Uncharted: The Lost Legacy will see an appearance or two during the award festivities. Could it be tonight during the Best Soundtrack category? With an exciting score such as the example here heard in the final mission of Lost Legacy, there could be a chance! Here's another game from 2017 that has a similar chance as Uncharted: The Lost Legacy. 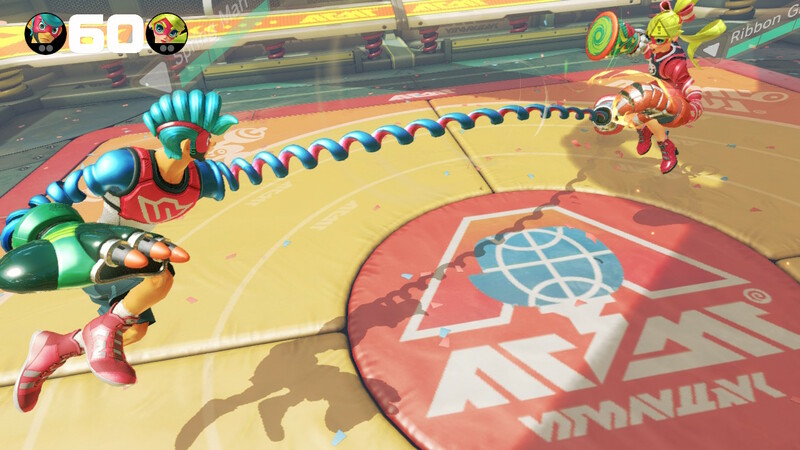 ARMS is a creative fighting game, atypical for the genre. Instead of being on a 2D plane, battles in ARMS are not only fought in a 3D arena, but the camera is behind the back of each fighter. It all comes down to picking the right moments to send out one or both of your arms to attack your opponent, quick evasion skills and dodges, and aiming your shots to curve into foes in tricky patterns. The soundtrack is exceptional for the game as well, offering a diverse range of styles, all incorporating in some way the ARMS main theme. I held off on buying this next game due to the hoopla surrounding its less than stellar localization. It was so bad that the publisher in Japan ordered a redo in patch form, which has yet to come out but will soon. That said, maybe it's a good thing I held off, as a new Nintendo Switch port of Ys VIII: Lacrimosa of Dana is set to hit the hybrid system this summer in North America. The only thing I've been missing is hearing the awesome soundtrack as heard in the game, but even by its lonesome without context, Ys music is always fantastic, and this is the case with Ys VIII. Let's go wholly portable with this fall Nintendo 3DS release, incorporating all of your Mii collection (or by borrowing total strangers' Miis) in a one-of-a-kind role-playing game! It's Miitopia, and it's a game where you can put your family and friends in the roles of the various characters, whether good or evil. This theme with its bongo drum and synth accompanies you as you do battle with one of the many dastardly bosses in this lengthy Mii adventure. Save the kingdom and the world with Miitopia! Let's go back in the past with this final VGM for this edition of SuperPhillip Central's Favorite VGMs. It's from one of my favorite character action games of all time, the remarkable Viewtiful Joe. I originally played the game on its GameCube launch and became so addicted to it that I almost completed the game with all Rainbow V rankings in each act of every level. That's how much I enjoyed it. One aspect of Viewtiful Joe that I also enjoyed was the superb soundtrack, featuring a mix of rock and electronica music, as heard in this theme when facing off against the fourth level boss of the game, Another Joe.